Registering or logging in with adminEmail is successful, but failed with OIDC. 5.Check the MongoDB, there is no user creation in the table Identity_Users. Loaded '/usr/local/share/dotnet/shared/Microsoft.NETCore.App/2.2.0/System.IO.MemoryMappedFiles.dll'. Skipped loading symbols. Module is optimized and the debugger option 'Just My Code' is enabled. "stackTrace": "   at Squidex.Areas.IdentityServer.Controllers.Extensions.GetExternalLoginInfoWithDisplayNameAsync(SignInManager`1 signInManager, String expectedXsrf) in /Users/.../src/Squidex/Areas/IdentityServer/Controllers/Extensions.cs:line 23\n   at Squidex.Areas.IdentityServer.Controllers.Account.AccountController.ExternalCallback(String returnUrl) in /Users/.../src/Squidex/Areas/IdentityServer/Controllers/Account/AccountController.cs:line 227\n   at Microsoft.AspNetCore.Mvc.Internal.ActionMethodExecutor.TaskOfIActionResultExecutor.Execute(IActionResultTypeMapper mapper, ObjectMethodExecutor executor, Object controller, Object arguments)\n   at Microsoft.AspNetCore.Mvc.Internal.ControllerActionInvoker.InvokeActionMethodAsync()\n   at Microsoft.AspNetCore.Mvc.Internal.ControllerActionInvoker.InvokeNextActionFilterAsync()\n   at Microsoft.AspNetCore.Mvc.Internal.ControllerActionInvoker.Rethrow(ActionExecutedContext context)\n   at Microsoft.AspNetCore.Mvc.Internal.ControllerActionInvoker.Next(State& next, Scope& scope, Object& state, Boolean& isCompleted)\n   at Microsoft.AspNetCore.Mvc.Internal.ControllerActionInvoker.InvokeInnerFilterAsync()\n   at Microsoft.AspNetCore.Mvc.Internal.ResourceInvoker.InvokeNextResourceFilter()\n   at Microsoft.AspNetCore.Mvc.Internal.ResourceInvoker.Rethrow(ResourceExecutedContext context)\n   at Microsoft.AspNetCore.Mvc.Internal.ResourceInvoker.Next(State& next, Scope& scope, Object& state, Boolean& isCompleted)\n   at Microsoft.AspNetCore.Mvc.Internal.ResourceInvoker.InvokeFilterPipelineAsync()\n   at Microsoft.AspNetCore.Mvc.Internal.ResourceInvoker.InvokeAsync()\n   at Microsoft.AspNetCore.Builder.RouterMiddleware.Invoke(HttpContext httpContext)\n   at IdentityServer4.Hosting.IdentityServerMiddleware.Invoke(HttpContext context, IEndpointRouter router, IUserSession session, IEventService events) in C:\\local\\identity\\server4\\IdentityServer4\\src\\Hosting\\IdentityServerMiddleware.cs:line 72\n   at Microsoft.AspNetCore.Authentication.AuthenticationMiddleware.Invoke(HttpContext context)\n   at IdentityServer4.Hosting.BaseUrlMiddleware.Invoke(HttpContext context) in C:\\local\\identity\\server4\\IdentityServer4\\src\\Hosting\\BaseUrlMiddleware.cs:line 36\n   at Microsoft.AspNetCore.Diagnostics.ExceptionHandlerMiddleware.Invoke(HttpContext context)"
can you send me the connection settings to your auth0 instance so that I can test it? Hi, Sebastian, Thanks for your reply! Great, thanks. Will keep you updated. You have to configure auth0 to provide the email address. I think this is the problem. I will improve the validation process to provide better logs. Issue seems to be on my side. I have pushed a fix to the master branch. Thanks! But why didn’t the other self hosted work? This is actually more important to us. What do you mean with: “Thanks! But why didn’t the other self hosted work? This is actually more important to us.”? 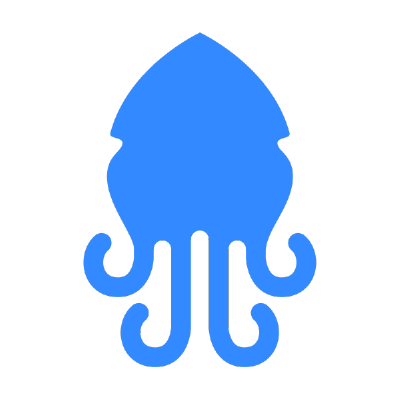 Identity Server for Squidex Headless CMS. Contribute to Squidex/squidex-identity development by creating an account on GitHub. This is the other direction. The idea is to have a custom identity server (https://github.com/squidex/squidex-identity) and use squidex as a backend to store users and other data. The backend has new app option “New Identity App”, the app created by this option which can’t be used for custom identity server. It requires extra cloning and creation from Squidex/squidex-identity. I will close this issue now as the bug itself is solved.